Defined by Inc., magazine as the shared values, attitudes, standards, and beliefs that characterize members of an organization and define its nature, corporate culture is rooted in an organization’s goals, strategies, structure, and approaches to labor, customers, investors, and the greater community. “As such, it is an essential component in any business’s ultimate success or failure,” Inc. concludes. 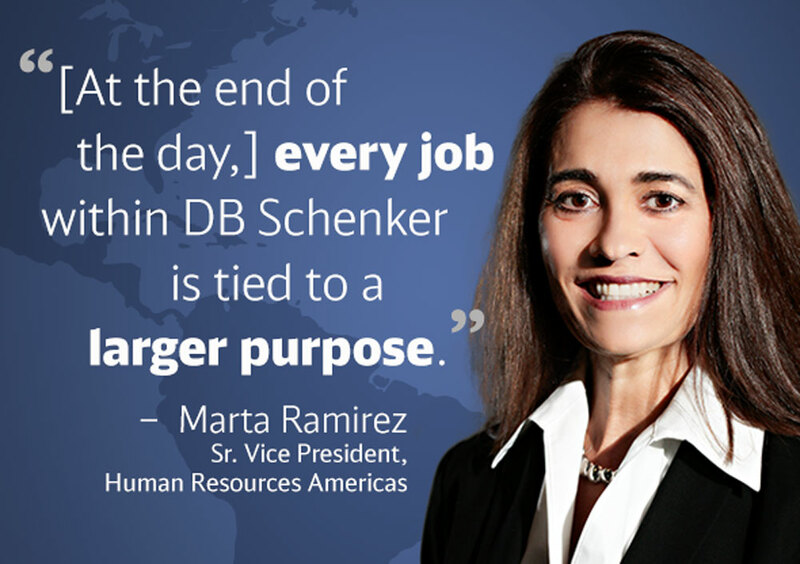 Here at DB Schenker, we take our corporate culture very seriously, knowing that it plays a key role in our organizational success, and that of our employees, business partners, and customers. 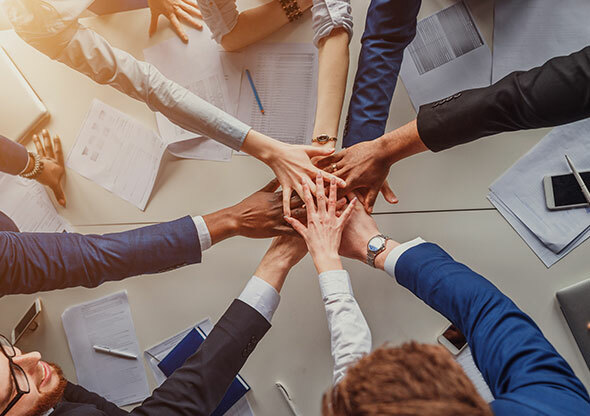 And we’re not alone: According to a Bain & Co., study, nearly 70 percent of business leaders agree that culture provides the greatest source of competitive advantage. In fact, more than 80 percent believe an organization that lacks a high-performance culture is doomed to mediocrity. Bain also notes that while business leaders recognize culture’s crucial role, fewer than 10 percent of companies succeed in building a winning culture. And, even those firms that manage to foster high-performance cultures often find them hard to sustain. Marta E. Ramirez, Sr. VP, Human Resources, Americas for Schenker, Inc., says the company takes much pride in its powerful and attractive purpose statement, which states, “We advance businesses and lives by shaping the way our world connects.” According to Ramirez, this seemingly-simple statement lays the foundation for understanding the roles that every individual plays in the firm’s overall success. That purpose, says Ramirez, is to facilitate and make life better for someone out there—be it a large consumer packaged goods (CPG) firm, a technology manufacturer, or a telecom manufacturer. 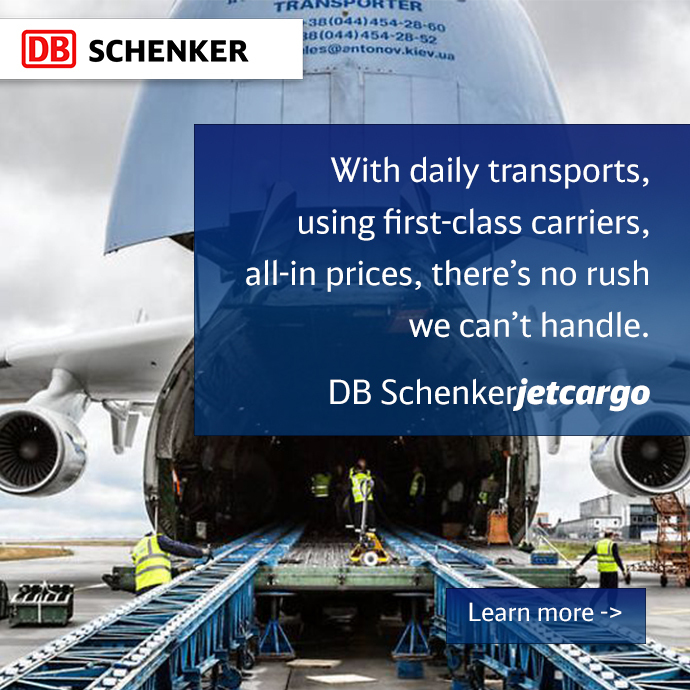 One large CPG customer, for example, relies on hundreds of DB Schenker employees—situated worldwide—to move its products around the globe, into retail stores, and into people’s homes.